London is the capital of England and the United Kingdom. Located in the southern island of Great Britain, London is the largest city in the territory of England and the largest urban area in the European Union. The Story of London began at the time of the Romans, who laid the foundations of the earliest settlement in this part of the island and called it Londinium. Today London is spread over an area of 1 578 square kilometers and its population reaches more than 7 500 000 inhabitants, which in turn automatically makes it the 25th in the world by population. Today London is at once beautiful, magnificent, grandiose and old but modern. Definitely we can say that this is a universal world capital. In London, live representatives of all ethnicities. Here are the seats of quite global corporations, and cultural life in London has centuries of tradition. The British capital is one of the most expensive cities in the world, along with Moscow and Tokyo. London has the fourth highest number of millionaires living there. Everything in London is more or less subject to the River Thames that flows through the city from the north east. 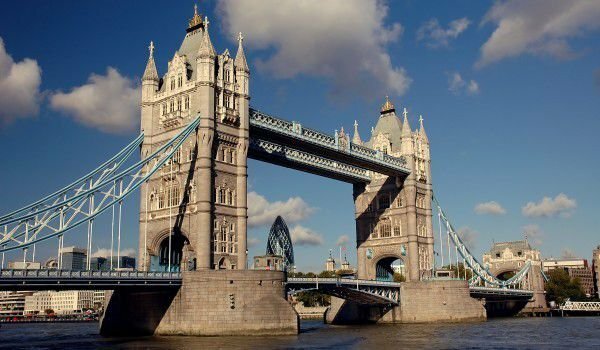 Along the Thames River that has several big bends, splits London into two parts - north and south, in which is the center and the most historical landmarks. Since Roman times the river was north of the area churches and religious traditions, while the south side of the people was given to the theater and feasts. During the Industrial Revolution the south bank of the river had become a manufacturing center. Only in recent decades it began to merge with the northern "noble" part of London where they are famous landmarks such as the National Theatre and Shakespeare's Globe. In recent years, the south side of the river was built along the Thames Path, which is a wonderful place for walking. Cultural, historical attractions in London are so many that several weeks would hardly be enough to explore them all. However, you can not miss the emblematic places such as the English Parliament, which is something like a business card of London. Here you can see the residence of Lord Chancellor, Westminster Abbey and Downing Street. Everybody can go to monitor the work of the Lower Chamber and the House of Lords, which are open to visitors at different times of day during the week. In August and September, when parliament is not in session there are organized group visits throughout the complex. 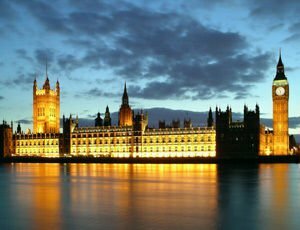 The British Parliament in London stems from the first Westminster Palace built in the 13th century by Edward the Confessor. It remains one of the royal palaces of all English monarchs to the management of Henry Vlll before the fire broke. Since then the building is the seat of government. Later another fire ravaged the building, then it was reconstructed in the beautiful Renaissance Gothic architectural style that we see today. One of the remarkable parts of the complex is the tower of St. Stephen or better known as Big Ben, which is the name of the bell, which is located in the tower and weighs a major 13 tons. The best views of the parliament building in London is offered by the side of the Thames. Another historic landmark is the Tower of London, which served as a royal fortress for more than 1000 years. This impressive castle is located on the north bank of the River Thames in central London. The district here is called the Tower Hamlets. Basics of the beautiful and impressive castle was set in 1078 by William the Conqueror. London Tower was turned into an official royal residence of Henry III and this status remains to this day. Today the Tower of London is the only ancient building that is inhabited by the English government. Among the modern attractions of London is Modern Tate, which is the largest gallery in the modern world and is the fifth gallery of the chain Tate. This temple of modern art has no equal anywhere in the world equivalent. All exhibitions and art objects in it were created after 1900, and are housed in the building completely renovated and rebuilt on the south bank of the River Thames. The easiest way to the Modern Tate is to go by foot over the bridge Milllenium, which is the first made pedestrian bridge. This is the first such facility over the Thames from nearly 100 years ago. Here you can see works of cubism, impressionism, surrealism and interesting multimedia masterpieces. Entrance for visitors to the Modern Tate is free and unlimited for permanent exhibitions. For temporary exposures, however, you will need to pay for a ticket. A visit to the Windsor Castle is located 34 km away from London. Castle Windsor is a huge medieval fortress, which to this day is a symbol of royal power in Britain.